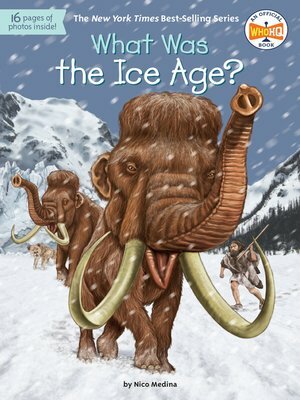 A mesmerizing overview of the world as it was when glaciers covered the earth and long-extinct creatures like the woolly mammoths and saber-toothed cats battled to survive. Go back 20,000 years ago to a time of much colder global temperatures when glaciers and extensive sheets of ice covered much of our planet. As these sheets traveled, they caused enormous changes in the Earth's landscape and climate, leading to the evolution of creatures such as giant armadillos, saber-toothed cats, and woolly mammoths as well as club-wielding Neanderthals and later the cleverer modern humans. Nico Medina re-creates this harsh ancient world in a vivid and easy-to-read narrative.